‘Whoever planned this has a mind like a pretzel, but it’s all of a piece’ – On this page is a collection of miscellaneous articles with links to Running Blind. Navigate to the articles by clicking the images below. Jack Gerson author and scriptwriter – Image © Graham Ross. Jack Gerson, who died in 2012, was one of Scotland’s finest and most prolific television script writers, gripping viewers with some of the best-known screen dramas of the 1970’s. His work included the tv adaptation of Running Blind. 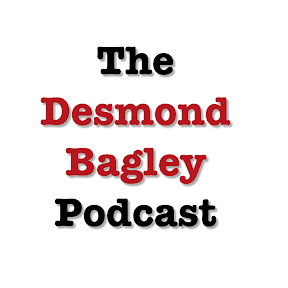 A collection of interesting articles and anecdotes relating to Desmond Bagley and all things Running Blind.